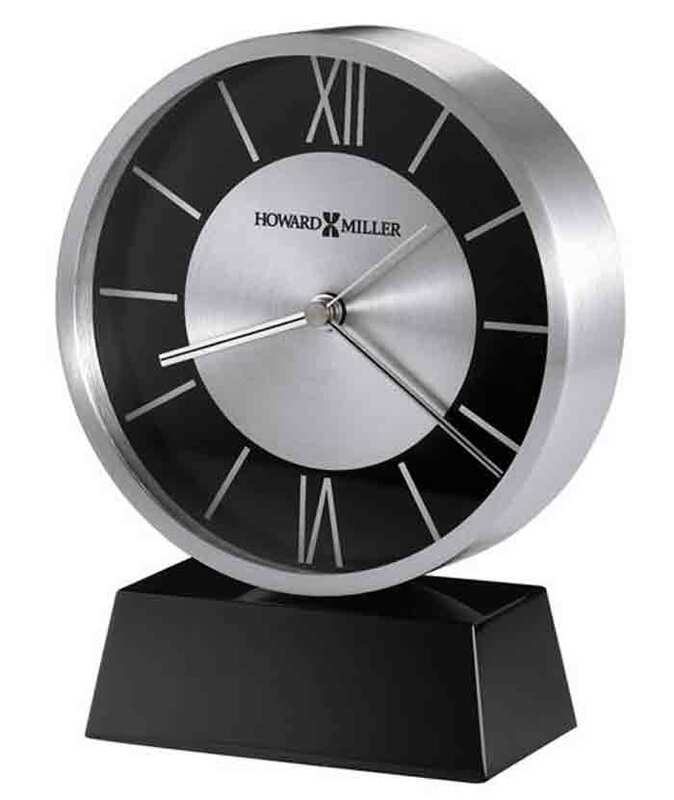 The Howard Miller Davis 645-787 Desk Clock has a round, brushed-aluminum case that sits on top of a tapered black crystal base. 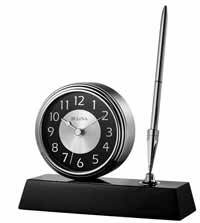 The diamond cut spun metal dial has a matte black outer ring with clean style roman numerals at the 12 and 6 position and bar style markers at the other hours. 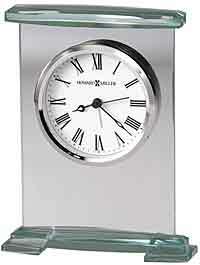 The polished silver tone hour and minute hands have a black stripe accent down the middle and a silver seconds hand. 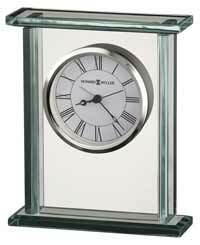 A flat glass crystal covers the dial to protect the hands. The felt covered bottom helps protect your table or desktop. 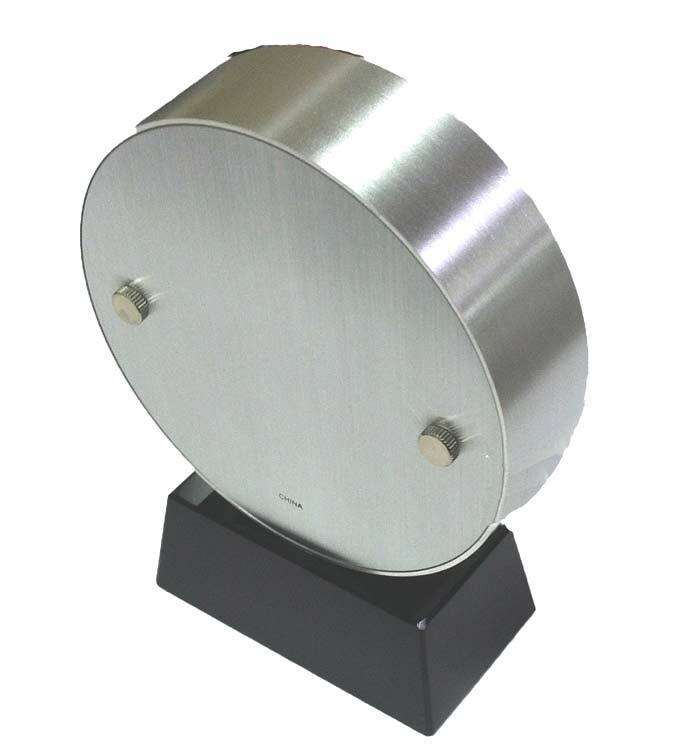 Accurate quartz, battery-operated movement includes one AA sized battery. 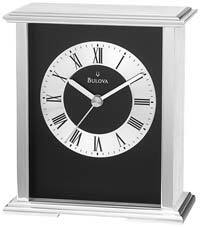 Clocks for sale at The Clock Depot including the 645-787 at discount prices.